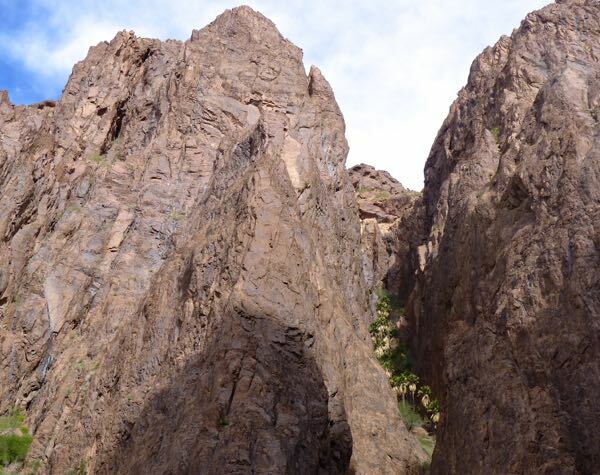 A visit to KofA National Wildlife Refuge was next on my journey. First up was Palm Canyon which was about twenty miles south of the ‘Q’. 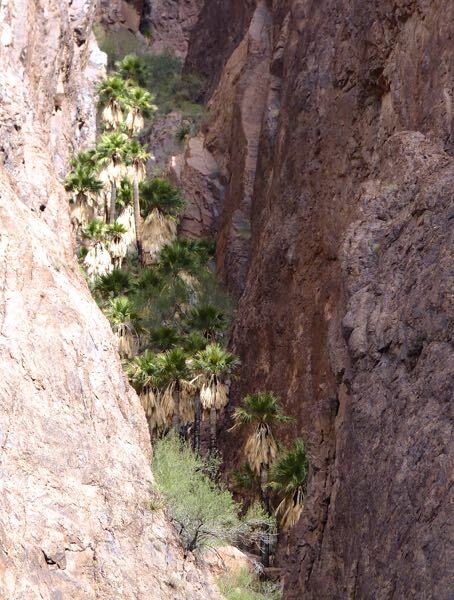 A short hike from the trailhead leads to a view of Arizona’s only native palm trees. The trail was a bit rocky, and sometimes steep, but really not that difficult. The canyon was pretty impressive with its soaring vertical cliffs on three sides. Even without seeing the palms it would have been a rewarding hike. I was passed by two photographers carrying tripods and DSLR’s with long lenses. So, I figured my timing must have been just about right. And sure enough, the light was just entering the narrow crevice of the distant wall where the palms were tucked away. After getting several nice shots with the sun hitting the palms, I turned my attention to the the surrounding cliffs. Towering and rugged, they framed the distant desert below which extended across the La Posa Plains to the Dome Rock Mountains beyond. My camp for the next couple of days was about three miles from the trailhead along Palm Canyon Rd. 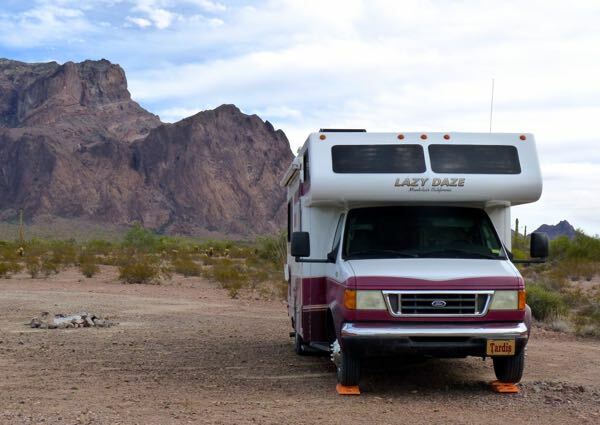 It had a very nice view of the KofA Mountains, great internet signal, and it was quiet except for the few cars headed to the canyon trailhead. 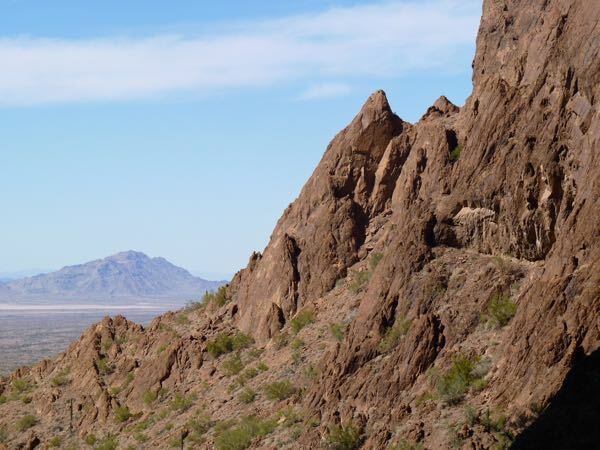 We especially like the Kofa Wildlife Preserve with it’s beautiful mountains & many hiking trails & Jeep roads. I have always been drawn to those rugged peaks stretching along the east side of the La Posa Plain. 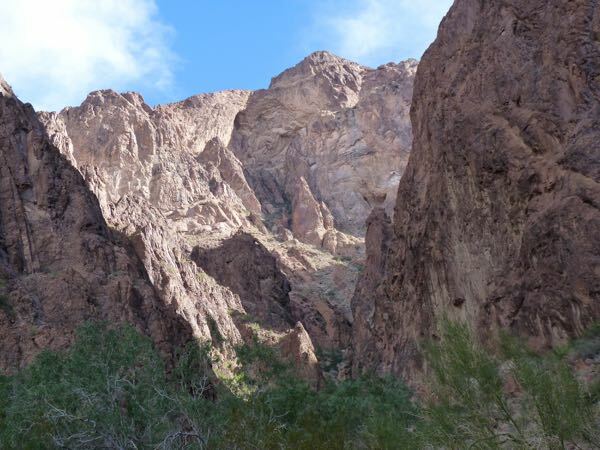 The mountains seem to have a mystical feel to them And what a treasure that Palm Canyon is. Enjoy your time there………..
You’re correct Al; it was a special experience. There are so many interesting things to explore. 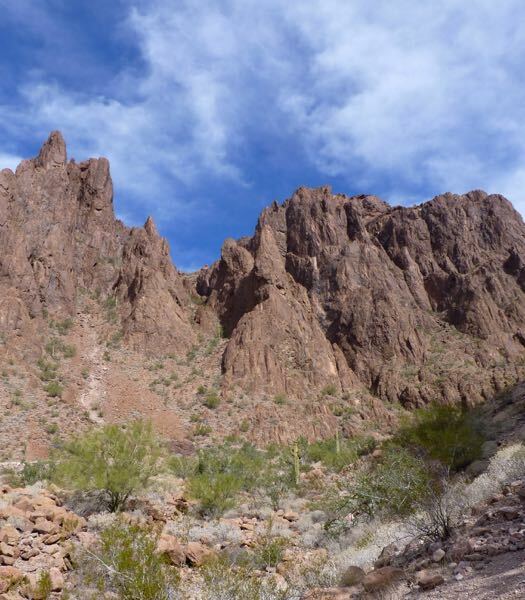 The rugged mountains and desert trails are enchanting. Did you do any paintings. Looks like a great place to set your canvas and paint a landscape. Beautiful country. Sadly, no paintings resulted. I’ll use the excuse that it rained for a day and a half after my hike. And, I’m still practicing with the acrylics. (Poor reasons, I suppose.) But, I did enjoy the visit. Indeed there are many paintings waiting to be created. Keep on clicking Dorothy; your time will come. Indeed! Can hardly wait. Happy trails to you!! You did time that right. 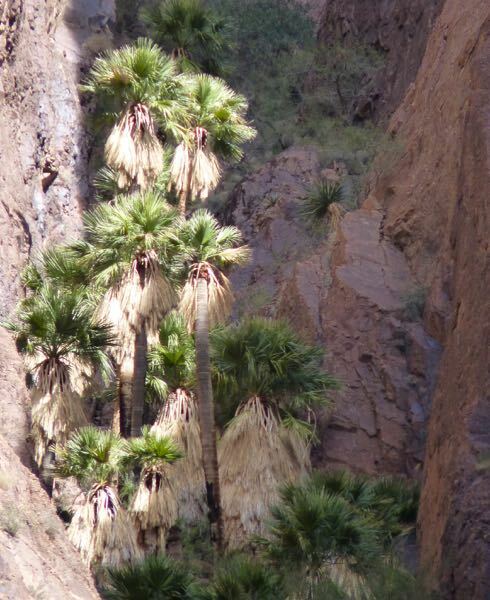 When we were there it would have been easy to miss those palms in the dark canyon.Great photos! I got lucky, as I had no idea when was the best time. Glad you liked the pix. Stunning, amazing photos! Please keep them coming. It’s 5 degrees here now with 13 inches of new snow. I’d love to be where you are right now! Thanks for the kind words about the photos. Brrrr! I’m also glad to be here. Very pleasant temps at my camp.